Chasing your dreams and living for it is something that we all dream but do we have the courage to actually follow the dreams. Well, Nidhi and Shekhar Singh did this and today they are the talk of the town. They sold their home just after a day they had the house warming ceremony for their newly acquired home. They shifted to rented premises and left their easy and comfortable life as employees in good firms just to chase their dreams. Samosa is an Indian delicacy that is mostly a savory dish but in places has sweet counterpart also. The fresh hot samosa with a hot cup of tea for the breakfast or for your lunch or for the evening snack or any time just to sit for an add with friends the love and charm for samosa is insatiable. It is a food item that is popular in all parts and nooks of the country. The couple started to sell samosas from their in house brand called the Samosa Singh. The samosas from their brand are of high quality and lip-smacking taste. 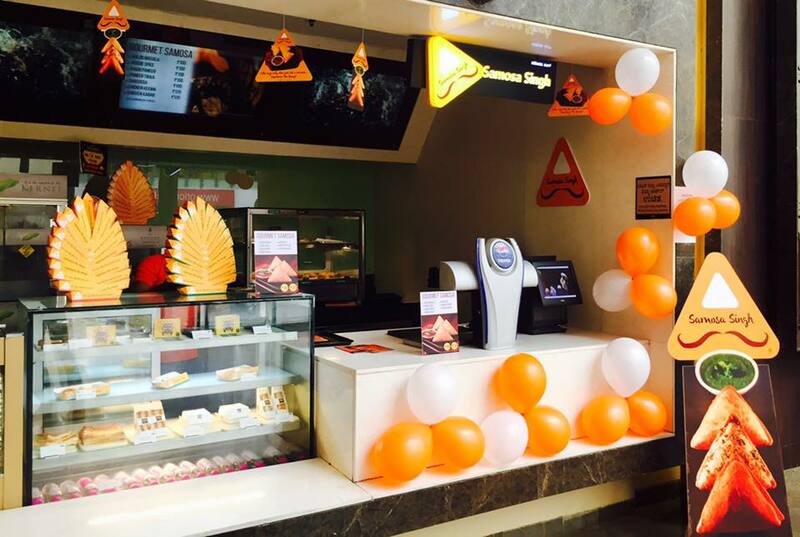 They started with an outlet in Banglore and now are planning to expand to Pune and Hyderabad. The couple started to sell innovative samosas and gradually their brand got quite popular and there was too much of crowd in their shops. 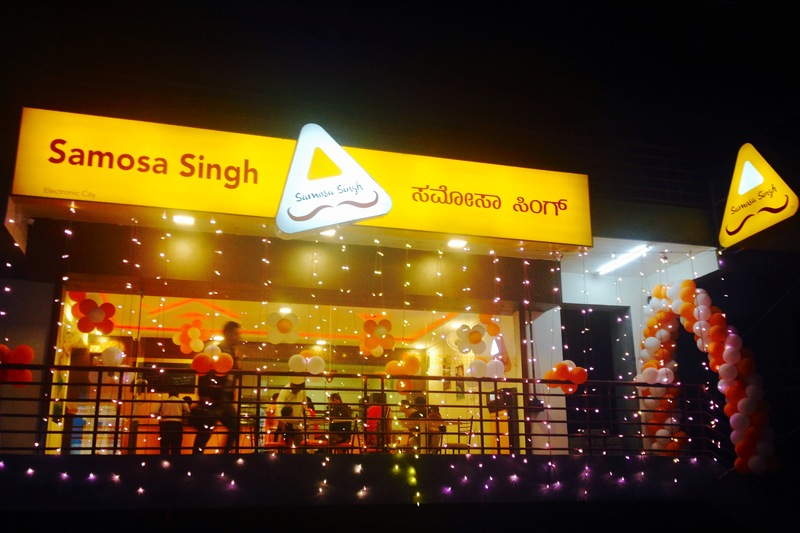 Initially, they made samosas manually and it was just sufficient to cater to the needs of the customers in the outlet but to cater corporate needs they had to increase their manufacturing capacity. The kitchen capacity was to be increased. The investment to convert a manually operating kitchen to an automated kitchen for bigger production capacity the investment was humongous. Thus for this, they sold their new home and started their production from 2000 to 10000 samosas per day. It was not a one-day idea or something that was spontaneous rather research of many years and dedicated effort of years went into the production of the samosas. The two had met in the Kurukshetra University and had become friends that gradually blossomed to love. The two are well educated but it was only this time that they realized the need for good hygienic Indian delicacies. The pizza and burgers were available in big multinational outlets but the Indian delicacies lacked this. He felt that if one desires to eat these Indian foods then required to switch to small stalls or sweet shops. Shikhar had the idea but then the two did not focus much on it. The two discussed over the idea on and off but felt that only hygienic product was not sufficient but the product had to be innovative also to capture the market. Thus they made their innovative samosa that was fried in good quality oil and was fat-free and would not harm one’s health. Gradually they grew and now it is a multinational company that is generating revenues of crores and caters to the needs of INOX, PVR, CCD, and TCS. Every person has a different opinion which is a totally healthy thing, but there are always a set of people, in almost every society, who start to believe their opinion as a universal truth. Such is a case when it comes to Tattoo. In some societies getting a Tattoo done is actually part of their ritual and culture where in some areas of the world it is totally known as a funky and cool fashion trend. We believe tattoo is not a taboo but an example of a man/woman freedom that he/she practices on his/her own will. There are some people present who have a set of myths, myths that are primarily related to the women of the society. We are not raising a feminist question, but a humanist one. So here, we have compiled some of the common myths that you might get to hear about those women who get inked. Well, use your common sense to debunk them. We never knew they give a graduation degree to those who manage to live without a tattoo. Well, jokes apart, some people actually associate tattoo with illiteracy and judge a woman’s knowledge system and academic background basing it on their tattoos. Funny, right? Yeah, this! The society has all the liberty to denote certain terms, figures, and behaviour to a mother that a woman with the number of tattoos on her body is considered not a good mother. Get a job, people! Most of the people judge a woman’s womanhood when they see them covered with colourful tattoos, a brow pierced or God forbids, with boy cut hair. Gender issue?-Nay, mental issue. Yes, some people take every woman with a lot of tattoos to be a tattoo artist herself or they image them as an unemployed, vagabond. How can people think that a woman gets tattoos because she wants to seduce more men and want to be sexually attractive? Please don’t make such assumptions until it is inked on their skin or you will be really disappointed. At some point, people go on to think that those women who have their body inked find it hard to get settled in marriage. How does the institution of marriage gets associated with a Tattoo? Any law yet? Most of us follow a myth that down syndrome is a disability and with such kind of disability comes only grief in the family. But this is completely wrong. As, after going through this article, you will get to know about the whole experience of a mother who gave birth to beautiful twins suffering from down syndrome and her experience of dealing with such kind of a situation which is truly inspiring for everyone. Rachael in her interview told that she is the luckiest one to get twins. She told that it almost doubled her fun and she loved it. Some folks will be surprised to have two babies at once. But, it is truly a fun and very exciting also at the same moment. They were so surprised, that they wanted to have one more baby to add to their family. 4. Rachael was expecting some positive news! Rachael performed a home pregnancy test to confirm her pregnancy. After her visit to a doctor, she was confirmed that she would be giving birth to twin girls. She said in an interview that a lovely nurse practitioner came to my bedside and told me that my girls have down syndrome. Rachael and Cody were not expecting this news. Their excitement turned into nonetheless after hearing this news. Rachael was very nervous thinking that she is going to give birth to wildly different girls than her first two. She was also worried about the health complications which her twins will be facing after giving birth. Rachael knew that her pregnancy would be going to be a little different. She told that I and my husband were extremely happy from the very beginning. But, I started to get terrified thinking about the whole process of delivery in the operation theatre. Thanks to the family and friends and the kind support I got from them. Their support has eased a lot of Rachael’s worries. Finally, the two girls arrived The whole delivery process was quite complicated and terrific. But, it was a sigh of relief when both the girls finally arrived. The girls had to rush to NICU after birth Rachael was feeling extremely happy and grateful after giving birth to their twin daughters. But soon the girls were born, they had to rush to NICU as they were quite critical. After the girls were born, they were then rushed to NICU for oxygen, Rachael told. My happiness turned into grief as I was not able to nurse them immediately or feel them from the skin to skin. Girls turned out to be real fighters Rachael and her babies remained in the hospital for long 47 days. But, both the babies were healthy even after undergoing two back to back heart surgeries.